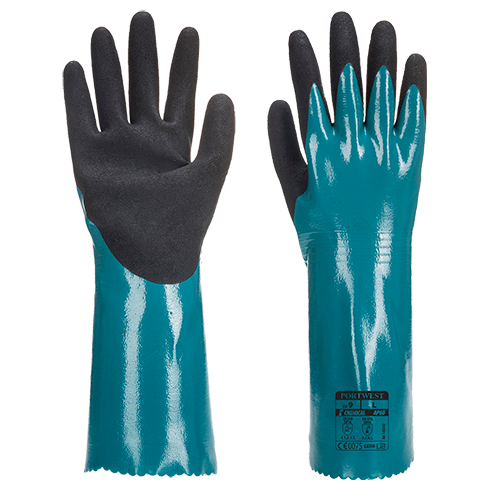 Nitrile gauntlet with sandy palm dip for a secure grip and abrasion resistance. 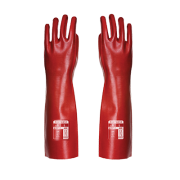 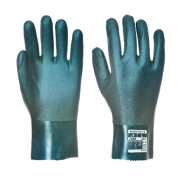 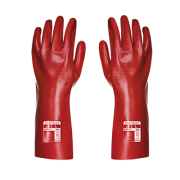 This glove is designed for use in wet and oil environments. 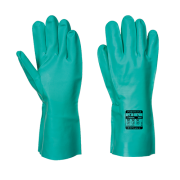 Using a lightweight soft comfortable liner it increases the wearability for prolonged periods of time.